One of the more memorable, better performing wireless headphones we’ve used in the last year has been the Parrot Zik 2.0. At a whopping $400 when it was first released, you kind of expect nothing except top-notch performance, given the hefty price tag and whatnot. 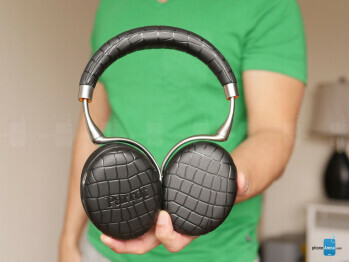 Fortunately, even despite its premium cost, the Parrot Zik 2.0 proved its worth in almost every way imaginable. A year later, we have its successor in the Parrot Zik 3. 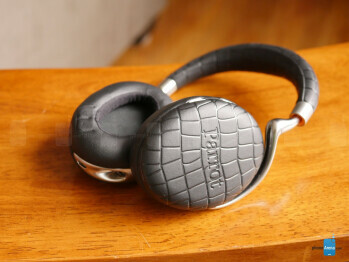 The Parrot Zik 3, for the most part, doesn’t deviate much from the design language of its predecessor. It’s still incredibly comfortable to wear over long periods of time, thanks in part to the adequate amount of soft padding around the headband’s underside and ear cups. Trust us, if you’re planning to do some listening on your couch, or during a long flight, the Zik 3 doesn’t disappoint with its fit and comfort. At the same time, it features the same smart touch panel from before that allows us to launch various commands by using tapping and swiping gestures along the outside surface of its right ear cup. For this year’s model, however, Parrot offers the Zik 3 in an assortment of colors and stitching patterns for greater variety than ever before. With renowned designer Philippe Starck at the helm once again, Parrot has something stylish on hand with the Zik 3. Now, while we appreciate the updated look, there’s just one thing about the design that makes us go bonkers. And that, folks, is how the headband is more flexible than ever before. That’s both good and bad, but sometimes the headphones has a habit of moving around so much – appearing somewhat lopsided on our head. It wasn’t an issue with the Zik 2.0, just because the headband didn’t have any flex to it at all. And lastly, it really would’ve been better if the new stitch pattern were interchangeable, but they’re not. Once again, we have to mention that this has what’s arguably the best noise-cancelling technology we’ve come across in a pair of Bluetooth headphones. Perfect for those long flights across the country, its adaptive noise cancelling technology seemingly mutes all disturbing noises in the background. And throw in the fact that it can do the opposite, wherein ambient background noise can be amplified, it gives us Superman-like hearing as well. Of course, when it comes to pure audio quality, you won’t be disappointed either. However, it’s really tough to discern any major differences with its quality versus last year’s model. With the aid of its 40mm Neodymium drivers, powerful DSP algorithms, and customizable tuning, the Zik 3 provides an immersive audio experience that can cater to a wide range of users. What’s really amazing, though is that the wireless and wired performances of the Zik 3 are nearly identical. Using the corresponding Parrot Zik app, we can pretty much fine-tune and modify the Zik 3’s audio performance to whatever we want. Therefore, its tuning can shift between the lows and highs, as well as offering wider or narrower effects. On top of the tight control given to the user, there are also downloadable presets, so you can listen to music just like what the artist intended. 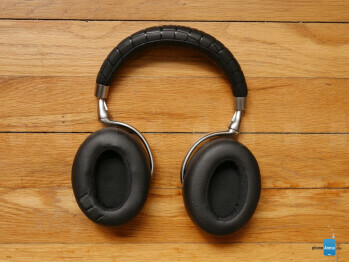 Parrot claims that the Zik 3 is rated for 6 hours of battery life under “ normal mode,” which consists of enabling noise cancellation and Bluetooth connectivity. In our experience, it pretty much achieves that rating, as we find it tapping out after 3 gym sessions – each one approximately 2 hours long. Indeed, it achieves that rating, but it still pales in comparison to the longevity we get in other comparable models. A shocker for some (not us), the Zik 3 is perched at the top of Parrot’s portfolio with a $399.99 MSRP – replacing the Zik 2, which is now at a more forgiving $199.99 cost. Certainly, many people will be turned away outright by this expensive investment, especially given the fact that it sees a subtle upgrade over its predecessor. Visually, it’s different and unique looking with its updated design, but seeing that we find almost nothing different about its audio quality, it makes for a tougher argument to pick this one up solely for the audio experience. Small tweaks are here and there, but generally speaking, the Zik 3 isn’t a dramatic change to warrant double the cost of the Zik 2.